Unfortunately there are many ‘falsehoods’ attributed to Engineered Hardwoods today. If you’re not well informed, you could be easily steered down the wrong path when choosing the most suitable hardwood flooring for your home. None of these statements are completely true and require a closer look. First, you will find inexpensive, low quality products as well as high quality and superior products among both solid and engineered hardwoods. Secondly, the National Wood Flooring Association (NWFA) – the national bellwether of standard setting for the wood flooring industry – has proclaimed that most engineered hardwoods perform better than solids because of how they’re constructed. Engineered hardwoods are designed from 3/8” to 3/4″ thick, the latter being the same thickness of the typical 3/4″ solid plank. In stacking multiple layers of plywood perpendicularly to one another, the end product becomes incredibly stable – a unique characteristic among engineered hardwoods that is referred to as “Dimensional Stability.” Then, adhered to the top layer of the plywood core is a solid piece of wood known as the veneer layer which varies in thickness from one manufacturer to the next, depending on the style and cut of the of hardwood (ie smooth open grain – wire brush , traditional to hand scraped or distressed, rifted and quartered, plain sawn versus rotator peeled or sliced face) ‘Dimensionally Stable ‘ hardwood is better able to accommodate temperature and humidity fluctuations within the home, whereby minimizing the possibility of warping, cupping, peeking, or the gapping of floor boards. The wider the board, the more susceptible it is to changing in size across the width as a result of the environmental conditions. Floor boards are more prone to expanding across the grain than they are with the grain. Solid planks, by contrast, are milled from one piece of wood. They are subject to higher levels of expansion and contraction when exposed to the same temperature and humidity conditions as engineered planks since they have no ‘under-layers’ to hold them in place. Again, they too are extremely susceptible at wider widths. They both contain what is known as un-sandable material – in essence, ‘wasted material’ – below the tongue and groove line. Why is this important? Because solid hardwoods cannot be sanded any more than you’re thicker veneer engineered hardwoods. Once they go beyond the tongue and groove line, this unsightly line and exposure of the mechanical fasteners (cleats or staples which are responsible for fastening the hardwood to the sub-floor) will be visible to the naked eye. NOT something you want! Solid and Engineered hardwoods are equally durable and equally susceptible to scuffing and scratching. The two most critical attributes that affect wear layer performance are a) the type of wood species itself and b) the finish coats that are applied during the manufacturing process. Remember – at the end of the day – all wood is just wood. No Hardwood product is “bullet proof” or immune to dinging, scratching and denting. To further familiarize yourself with the hardness of different types of hardwood, check out the Janka Scale. Alternative choices, such as Strand Bamboo and Acrylic impregnated hardwoods, offer additional performance benefits with higher Janka Scale ratings and stronger finish coats than many of the traditional mainstream flooring choices available today. Solid and Engineered hardwoods span the gamut when it comes to cost. Bargain level solid and engineered wood products may cost less initially, but as a home owner moves up the scale in overall quality, both woods will rise in price – sometimes engineered woods even more so than solids due to a variety of factors. What’s the right choice for your floors? 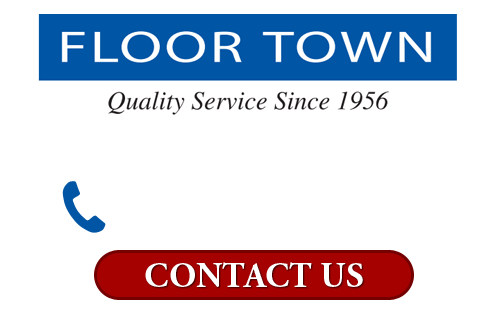 Your best bet is to speak with an experienced Flooring Consultant. Most general contractors fall under the category of being “generalists’, and are not well versed in the variety of performance levels of different hardwoods. They almost always sub-contract out their flooring installations and, worst case scenario, they might advise you without having complete and accurate information. As a general rule, engineered hardwoods are a more practical solution when choosing a wide plank flooring product. They are always the best choice for areas over crawl spaces, concrete slabs or gypsum based sub-floors. Keep in mind some manufacturers will NOT warranty a hardwood floor that is installed in a basement or below grade because of the high risk of moisture and greatest fluctuations in the humidity levels. Should you be installing a hardwood floor in your home that is ‘above grade’, you’re safe with either choice – provided a) you keep your climate settings within the manufacturer’s guidelines, b) the flooring material has been properly acclimated (if required by the manufacturer) and c) the moisture readings have been taken to insure the hardwood has been properly acclimated to the environment.